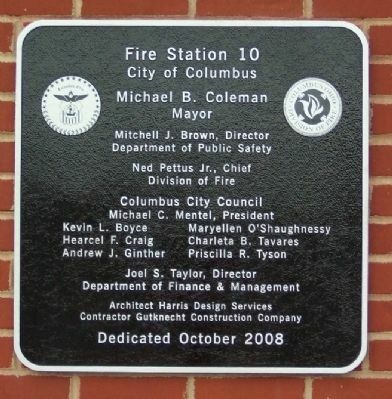 A resident of Franklinton, he joined the Columbus Division of Fire on March 16, 1981 and was assigned to E10, 3 Unit. On September 15, 1982 he answered his last alarm while fighting a warehouse fire at 144 S. Glenwood Ave. 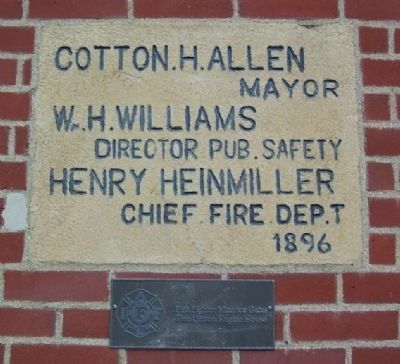 The City of Columbus and the Franklinton Community are eternally grateful for his supreme sacrifice. 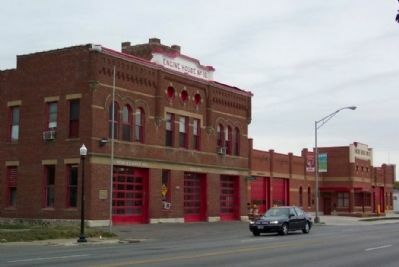 Erected 2008 by Franklinton Community and Fellow Firefighters. Location. 39° 57.53′ N, 83° 1.775′ W. Marker is in Columbus, Ohio, in Franklin County. Marker is at the intersection of Broad Street (U.S. 40) and Glenwood Avenue, on the right when traveling west on Broad Street. Touch for map. 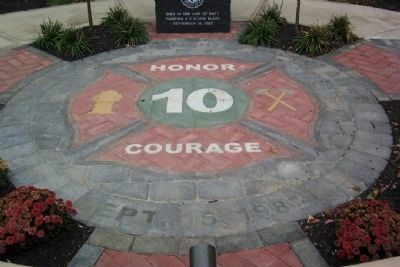 Memorial is at Fire Station No. 10. 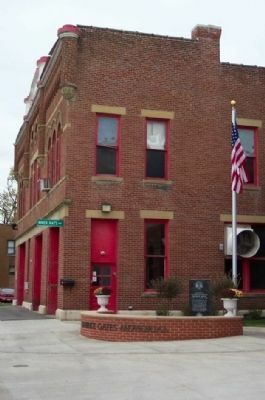 Marker is at or near this postal address: 1096 West Broad Street, Columbus OH 43222, United States of America. Touch for directions. (approx. half a mile away); “In This Churchyard…” (approx. half a mile away); Old Franklinton Cemetery Archaeology (approx. half a mile away); Lucas Sullivant Home Site (approx. 0.6 miles away); Franklinton (approx. ¾ mile away); a different marker also named Franklinton (approx. ¾ mile away); a different marker also named Franklinton (approx. ¾ mile away). Touch for a list and map of all markers in Columbus. More. 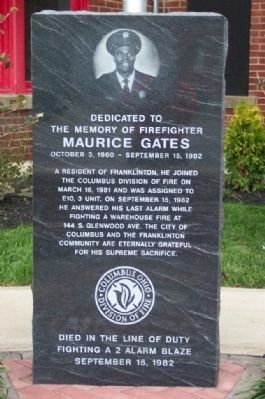 Search the internet for Maurice Gates. Credits. This page was last revised on June 16, 2016. This page originally submitted on October 27, 2008, by William Fischer, Jr. of Scranton, Pennsylvania. This page has been viewed 1,018 times since then and 18 times this year. Photos: 1, 2, 3, 4, 5, 6. submitted on October 27, 2008, by William Fischer, Jr. of Scranton, Pennsylvania. • Kevin W. was the editor who published this page.